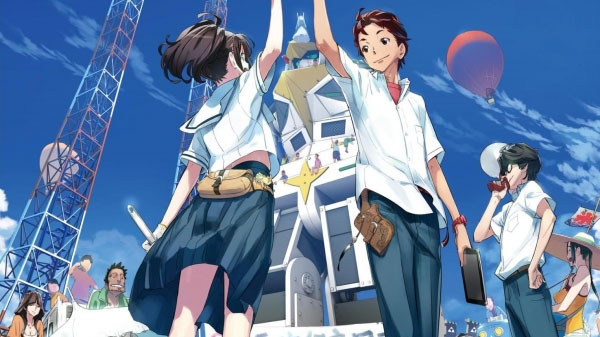 Spike Chunsoft will release 5pb.’s science fiction visual novel Robotics;Notes in North America and Europe, Spike Chunsoft president and CEO Mitsutoshi Sakurai told Siliconera at Game Developers Conference 2018. Robotics;Notes was first released for PlayStation 3 and Xbox 360 in June 2012 in Japan. An enhanced version, Robotics;Notes Elite, was released for PS Vita in June 2014 in Japan. It is currently unknown which version of the game and on what platform(s) Spike Chunsoft intends to release in the west. Chuuoutanegashima High School’s Robot Research Club is in danger of losing its club status. The reckless, useless club head, Senomiya Akiho, aims to complete a giant robot, struggling hard to avoid losing the club’s status. A sequel to Robotics;Notes, called Robotics;Notes Dash, is currently in development. A representative from Spike Chunsoft contacted us with an update saying the company intends to bring multiple titles from Mages to the West, which may include Robotics;Notes. The article has been updated with this information.